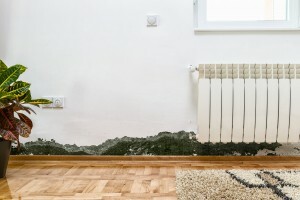 It won’t occur to you until you notice a gray shadow on the wall or notice that musty smell, but mold can exist even in some of the hottest climates, such as parts of the southwestern United States. Mold is a natural part of the outdoor environment and is critical to breaking down dead organic matter, such as leaves and fallen trees. But, in our homes, unchecked mold growth can create a host of health issues such as asthma, headaches, and chronic sinus infections. When mold invades properties, it’s time to call a professional mold remediation company. How Could Mold Grow in the Desert? Mold and fungal spores exist in the dry landscape and light winds transport them everywhere. However, with almost no plants or grass growing in the dry regions, fungus spores get picked up from the soil and grow when they find moisture have enough moisture to grow unchecked– until they find a source of water. So people in Phoenix and Gilbert can have the same sort of breathing difficulties as people living in the wet regions. Coccidioides simmitis is a dangerous mold that causes “Valley Fever”. This skin disease that can lead to death if it is left untreated for long enough. While this mold is found here in the deserts of the southwestern U.S. and Mexico, it is oddly absent from the deserts of other continents such as Asia, Africa, and Australia. How Can it Get to Me? Ironically, desert dwellers tend to be more susceptible to mold issues as a result of the lack of rain. They don’t check roofs annually for cracks; they forget to inspect the weather stripping around doors and A/C condensation lines. The Phoenix combination of heat and unwelcome moisture is potent. Whether from a leaking roof from during a storm or a broken pipe in the attic, warm temperatures encourage mold production. In fact, it can take only 24 to 48 hours from the time a leak begins to when mold can grab a foothold. Another opportunity for mold damage in of Arizona is that residents sometimes use “swamp coolers” to cool down their homes and outbuildings. Unfortunately, they cause the indoor humidity to skyrocket and condensation builds on windows and other cold surfaces. Leaks can also occur where water pipes flow upward to the coolers on the rooftops and can cause water damage to attics, ceilings, and walls. Cracked, broken, or missing roof shingles. Missing materials that may have been blown off the roof. Poor roof seals (especially around skylights). Improperly installed shingles, flashing, or any part of the roof. Ponds of water on flat roofs. Clogged air conditioning condensation lines. Sink leaks (bathroom and kitchen). Shower/bathroom moisture and steam and no exhaust fan. Obviously, water and air conditioning are crucial in desert climates. The chances of air conditioning condensation leakage and plumbing leaks are pretty high; air conditioners and fans are used almost constantly here. Just a little moisture in the right environment can lead to a mold problem. Who Can Help Me If I Do Have Mold? Valleywide Restoration in Gilbert is a family owned and operated company with over 25 years of experience in the restoration, renovation, and the construction industry. Valleywide Restoration has the tools and knowledge to make your cleanup easier. 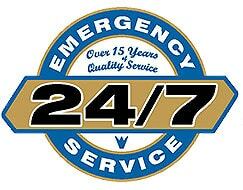 Call (480) 535-7077 or visit valleywiderestoration.com for all emergency home needs. With over 40 employees dedicated to providing you with high-quality service, you can expect a quick turnaround and efficient deadlines.